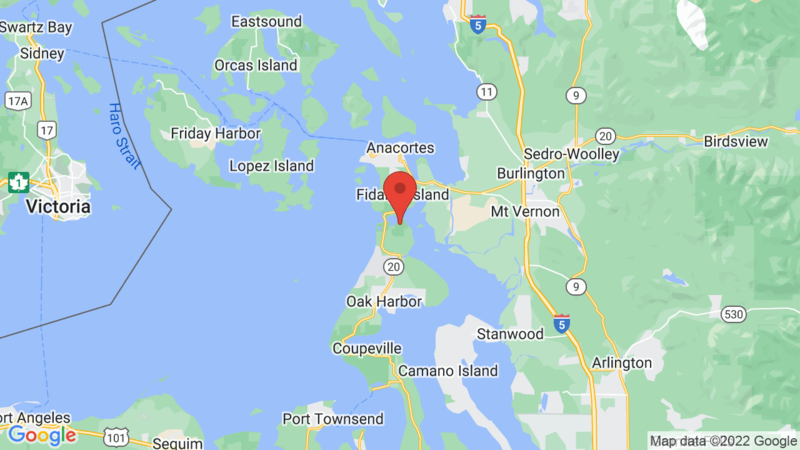 Deception Pass State Park campground has 310 campsites and is located on north Whidbey Island and next to Cranberry Lake. The beach & ocean are nearby as well. There are 172 tent sites, 134 partial hookup sites and hiker/biker sites. Group camping is also available. There are three camping areas in the park. Bowman Bay has 18 tent sites and two utility sites. Quarry Pond has seven tent sites and 54 utility sites. 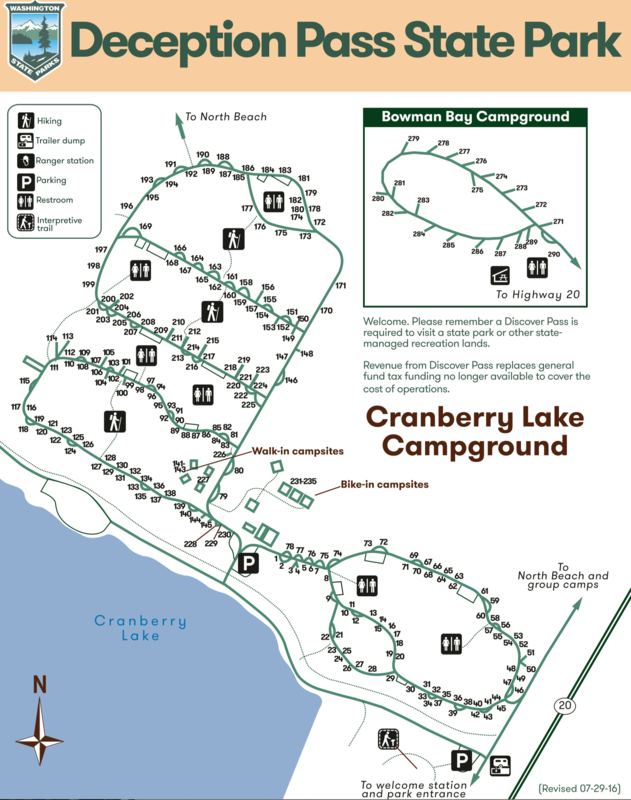 Cranberry Lake also has 147 tent sites and 83 utility sites. The maximum site length is 60 feet (may have limited availability). Campground amenities include drinking water, flush toilets, 10 hot showers ($) and 2 dump stations. There’s also an amphitheater, playground, picnic areas, miles of mixed-used trails. Firewood is also available for sale from the camp host. Deception Pass State Park is extremely popular and includes 3,854 acres, 77,000 feels of saltwater shorelines and 33,900 of freshwater shoreline on three lakes. The area offers a variety of places to explore including the beach, coves, and old-growth forests. Outdoor recreation includes boating, kayaking, becoming, sailing, fishing, crabbing, swimming, diving, hiking, biking, picnicking, and horseback riding. Wildlife viewing is also spectacular here. You may also like Bay View State Park. It’s about 15 miles to the north. 3, 4, 9, 12, 19, 28, 35, 36, 39, 45, 57, 64, 87, 92, 97, 115, 117, 120, 122, 126, 130, 135, 151, 161, 164, 173, 186, 188, 190, 213, 216, 219, 222. Visted Deception Pass State Park Campground lately? We'd love to hear about your adventure. Did you find us useful? Did we forget something? Anything our community should know before heading out to Deception Pass State Park?